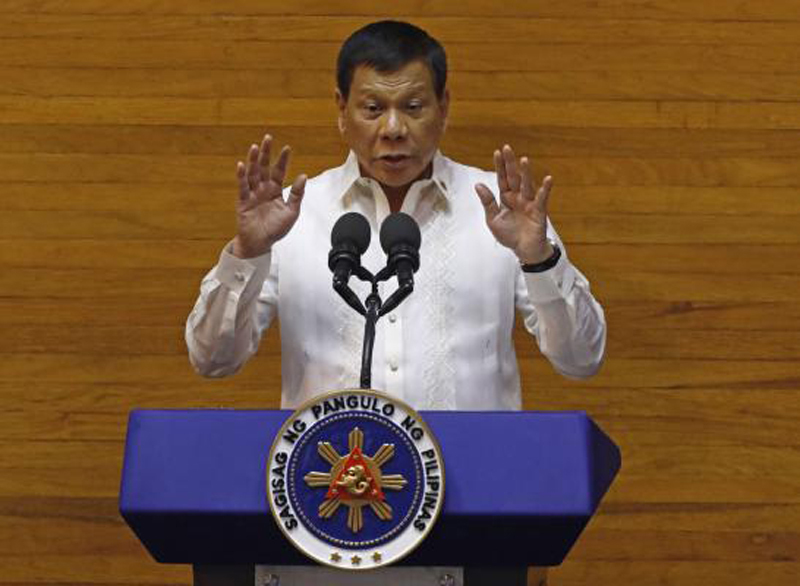 Philippine President Rodrigo Duterte said Sunday the nation will no longer deploy workers to Kuwait amid tense diplomatic relations between the two countries. Duterte said the ban on deployment of new migrant workers will remain permanently, especially for domestic helpers. He also promised to ask countries such as China to accommodate workers and to use government funds to help bring workers back. "The money is there. If it has not been remitted to the National Treasury, I can always use emergency fund. To me, it's a calamity ... if my countrymen are suffering, I would use it. If you want, I would steal money from the central bank. But they have to come home," he said. Duterte first instituted the ban on deployment of Filipino workers to Kuwait after the body of 29-year-old Filipina worker Joanna Demafelis was found stuffed in a freezer in an abandoned apartment in Kuwait in February. Last week video surfaced of Philippine embassy staff helping workers in Kuwait flee an allegedly abusive employer. Duterte's government issued an apology after it was determined the Philippines broke diplomatic rules by smuggling domestic workers and Kuwait expelled Manila's envoy to leave the country and recalled their own. "The Philippines and Kuwait have a shared history that both sides must learn to value," Duterte said. "Current developments, however, test our commitment to work together. We must be undeterred in the work of helping our fellow human beings as we pursue our shared interests with due respect for each other's sovereignty." As part of the ban, the Philippines plans to immediately bring back about 700 people who are now in temporary shelters, but Duterte also called for professional workers to come home to show support for their country. "I appeal to your sense of patriotism and to your love of country and family," he said.